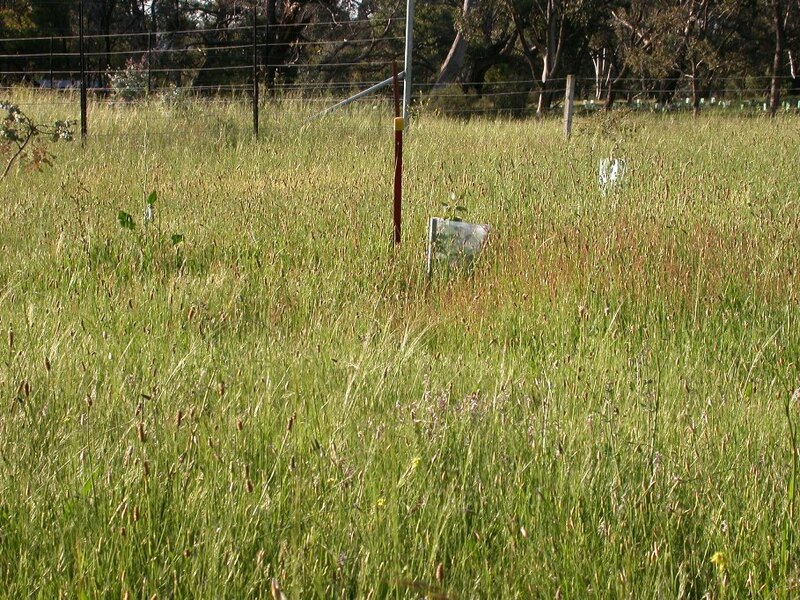 In a ddition to the photographic monitoring we assessed the ground-cover of the three plots using the ‘point-step’ method to monitor vegetation (Sharp S, Gould L: ACT Vegetation Monitoring Manual. 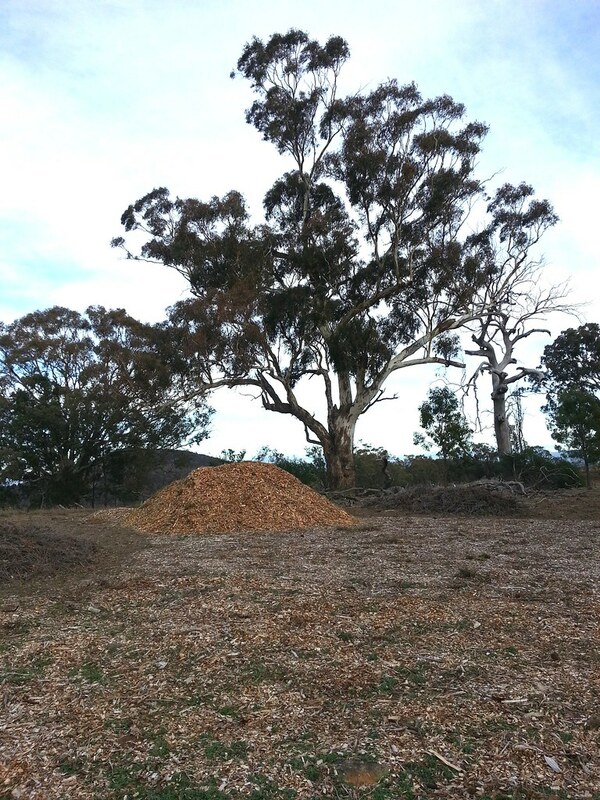 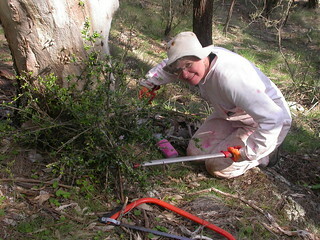 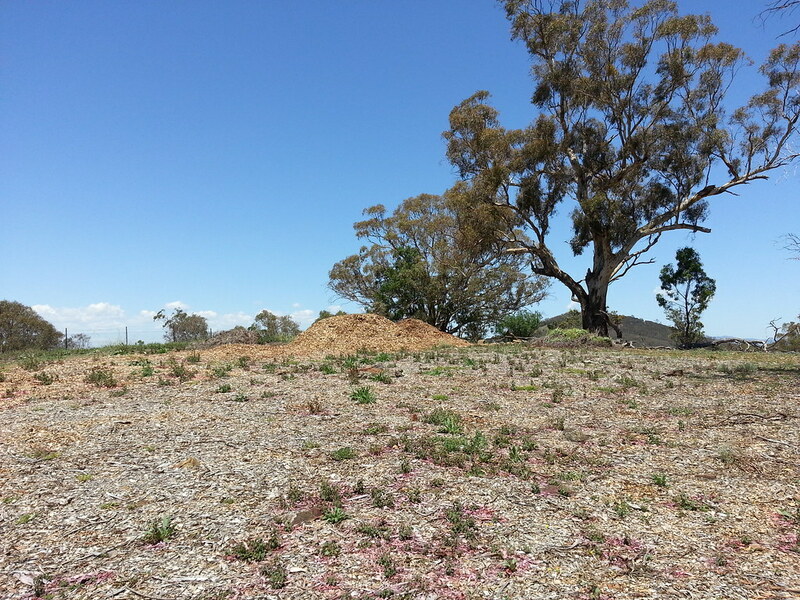 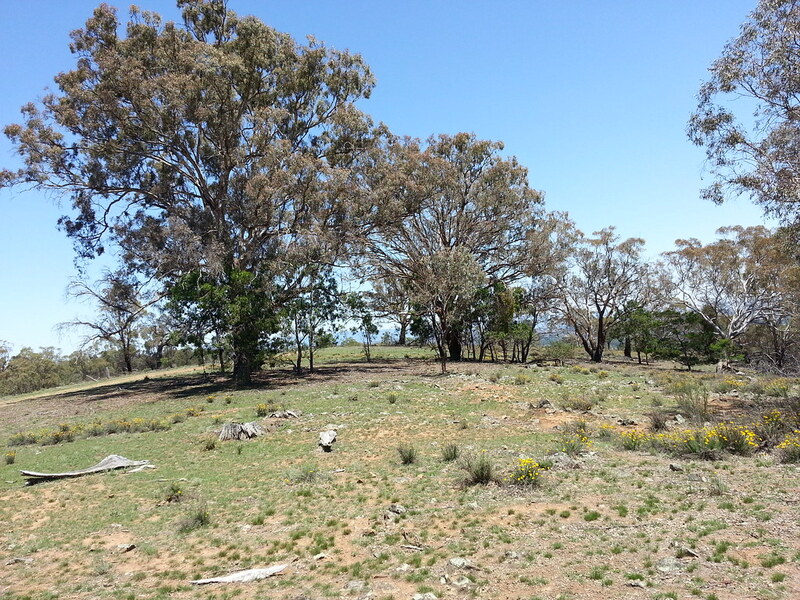 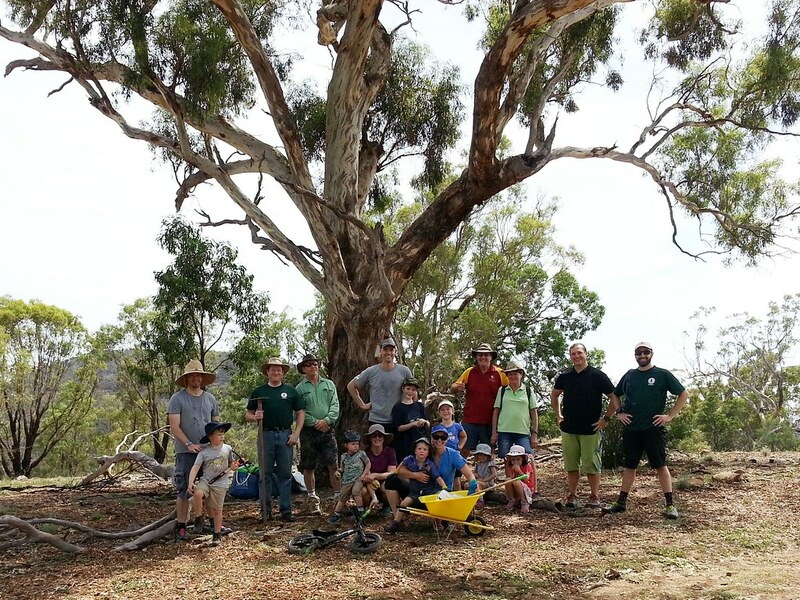 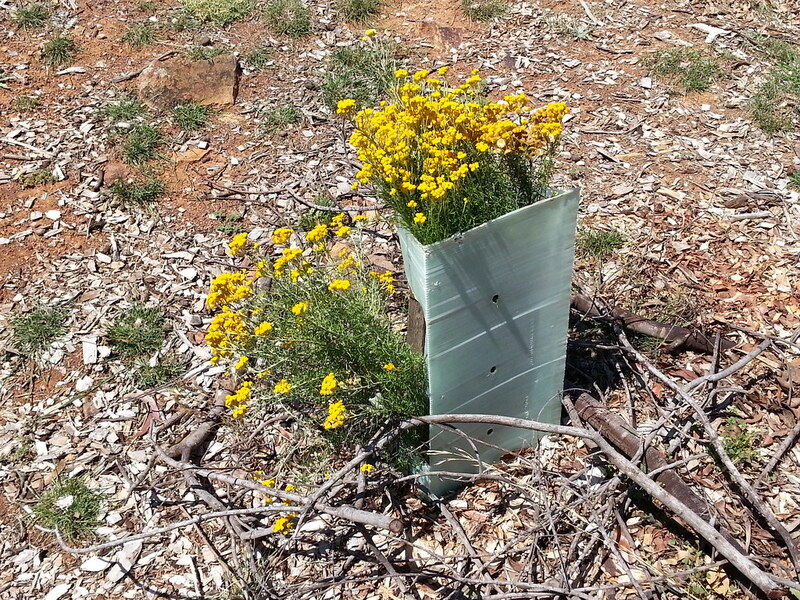 A Step-by-step Guide to Monitoring Native Vegetation in the ACT. 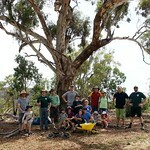 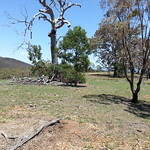 Greening Australia Capital Region 2010). 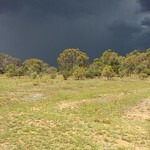 Rainfall in the months preceding the photographic records of October 2009 to July 2010 was around the corresponding long term average; rainfall in the three months preceding the photographic records end of October 2010 was significantly higher compared to the long term average (Graph showing the rainfall 2 (3) months before photographic records and the corresponding long term average). 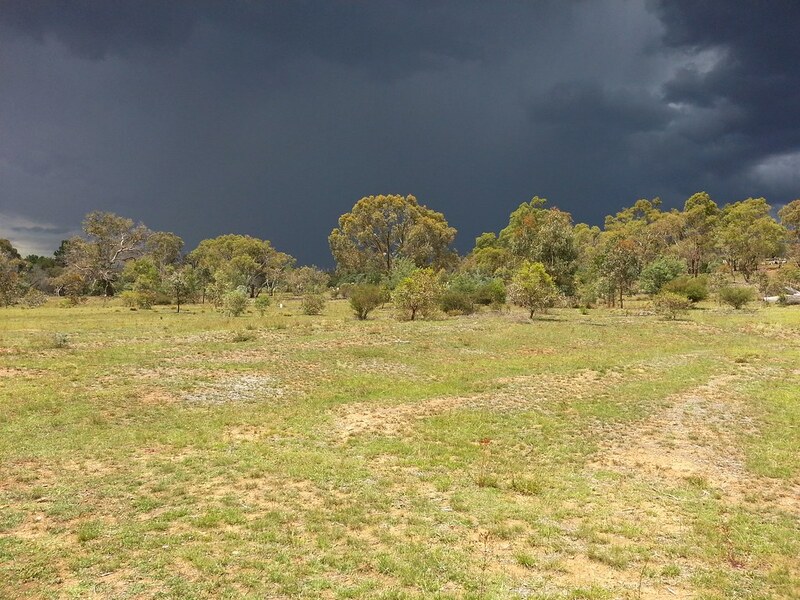 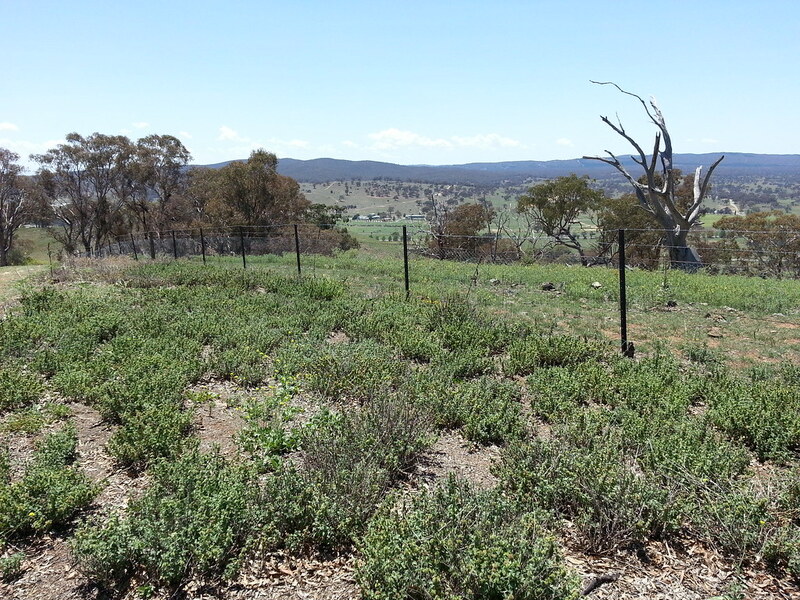 The significantly higher rainfall during the 2010 growing season compared to the corresponding long term average resulted in abundant growth of ground-cover, both inside and outside the fenced plots as shown in the set of the October 2010 photographs. 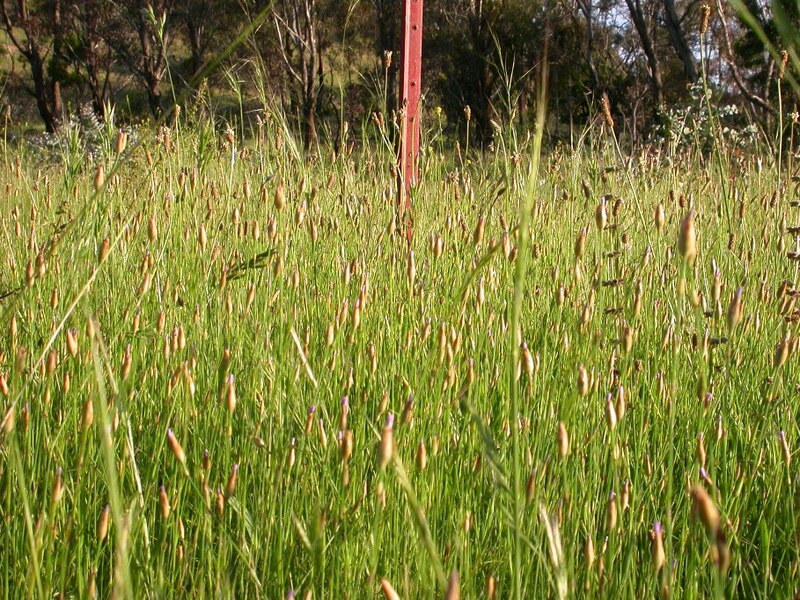 However a closer inspection of the ground-cover revealed a remarkable difference: introduced species such as Proliferous Pink and Ribwort Plantain were most abundant on the grazed plot (View grazed plot and Close-up), whereas native Speargrass was dominant on the ungrazed plot (View ungrazed plot and Close-up). 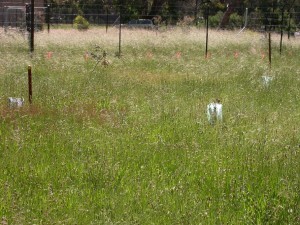 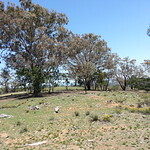 The photograph of 18 November 2010 shows abundant introduced species in the grazed plot (front) and native grasses dominating the ungrazed plot (back). 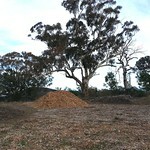 Results of the point-step monitoring conducted one year (November 2010) and three years (November 2012) after construction of the animal sieve are shown below. 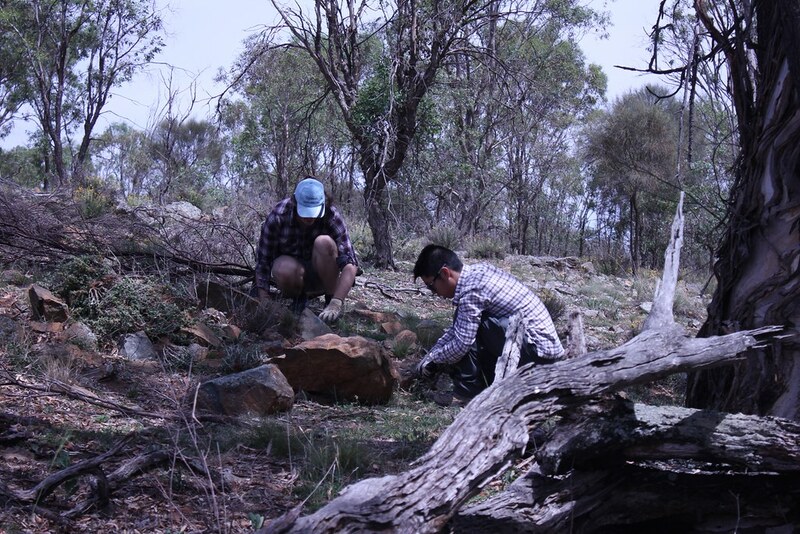 For further results and more details, including a list of species, click on Results Monitoring Groundcover. 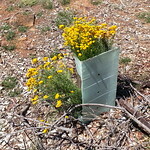 Native and introduced ground cover abundance. 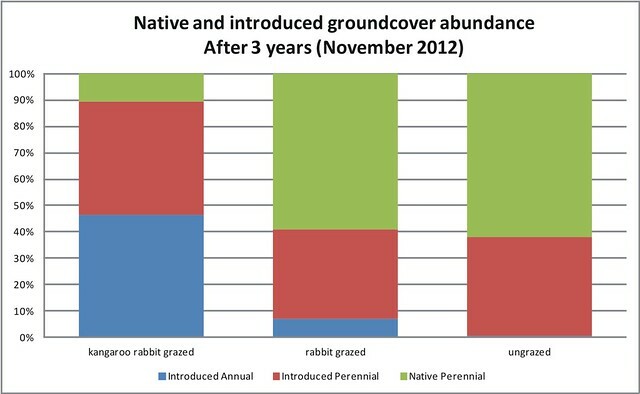 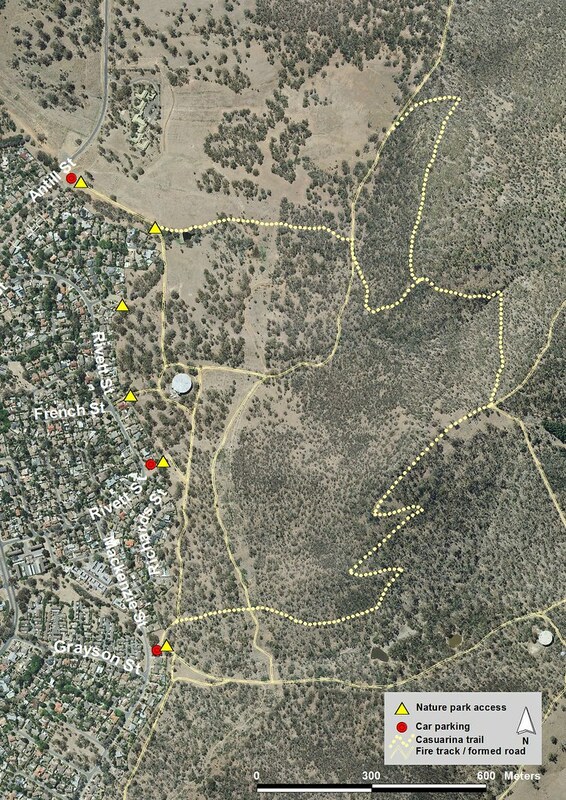 Abundance of introduced annual (blue), introduced perennial (red) and native perennial (green) groundcover plants one year (top) and three years (bottom) after fence construction in the rabbit and kangaroo grazed (left), rabbit only grazed (middle) and un-grazed (right) plots. 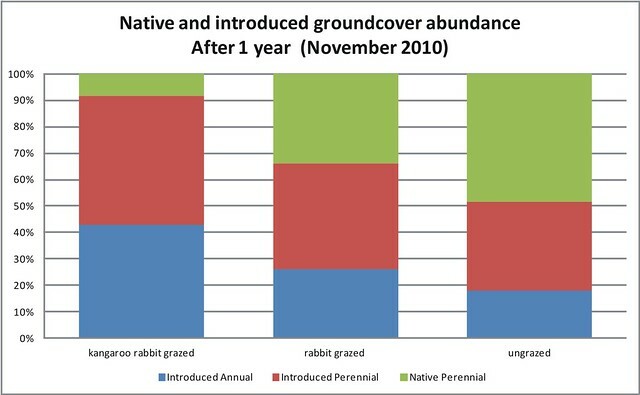 The results indicate that (1) grazing pressure reduce native ground-cover (control plot grazed by kangaroos and rabbits compared to fenced plots), and (2) the impact on native ground cover by kangaroo grazing exceeds the impact by rabbits (small difference between the two fenced plots). 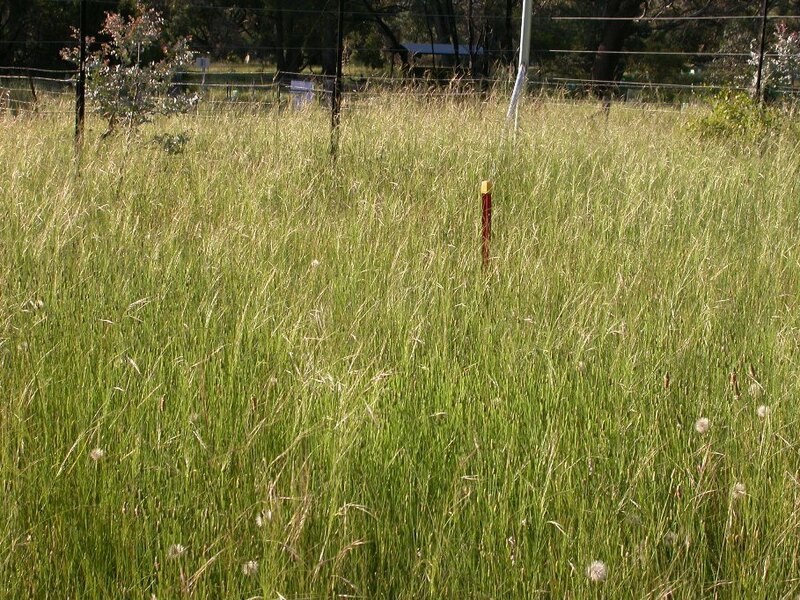 What are the impacts of the two grazers on the grassland diversity and abundance of native herbaceous species? 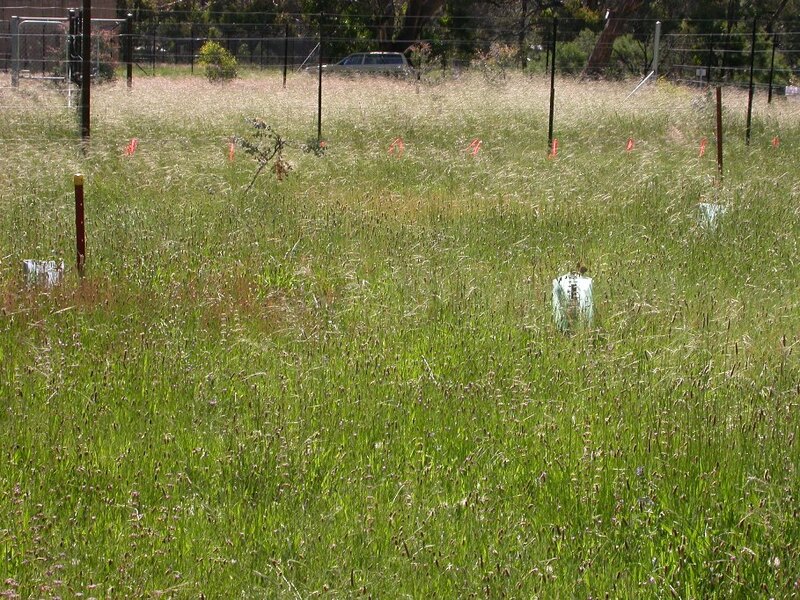 To rigorously answer this question requires the regular monitoring of the presence and population size of native and introduced species in such a way as to remove the influence of soil type or other factors. 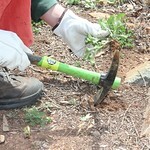 The small and simple nature of our demonstration project means we could not rigorously answer this question. 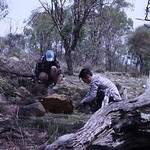 Instead, we hoped that our regular photographic monitoring would be sufficient to unambiguously identify species in the photographs. 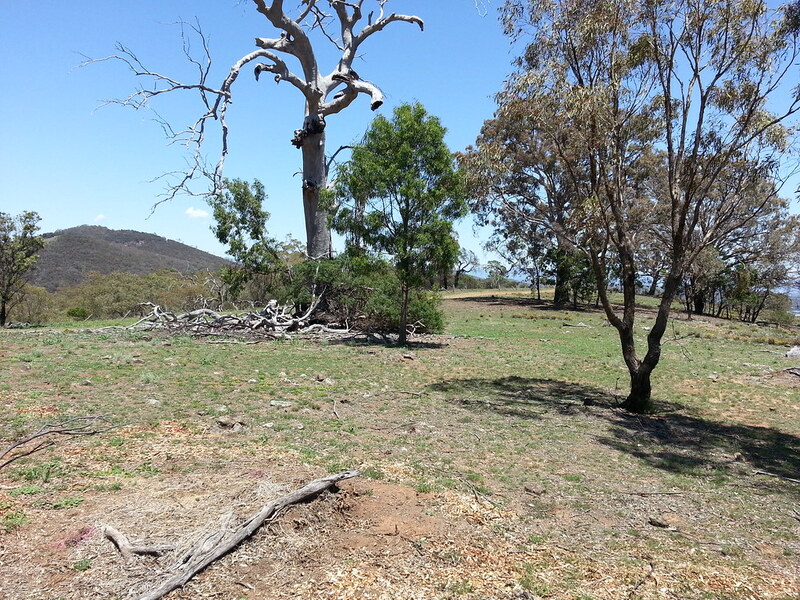 This was possible only on the first set of photos. 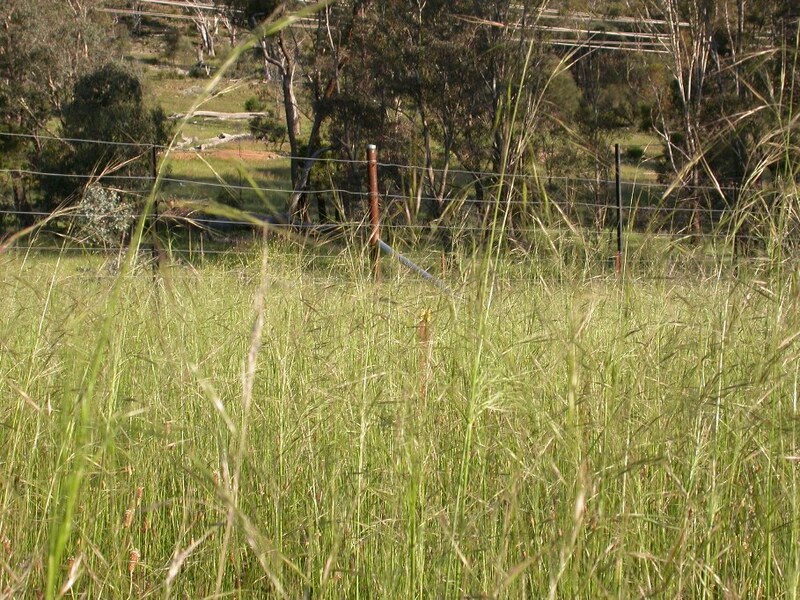 Thereafter, the herbage biomass (abundance) became so large that unambiguous species identification is not possible. 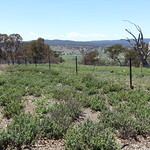 Nonetheless, on any day, an interested observer can walk around the boundary fences and compare the species presence and abundance, inside versus outside the plots. 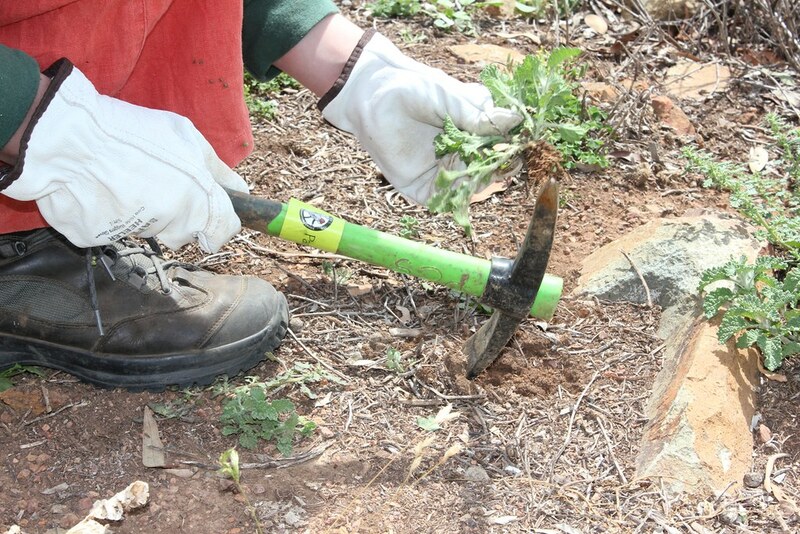 A scientifically rigorous answer to this question requires a scientifically designed experiment. 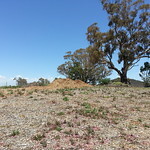 Perhaps this is the next stage of this inquiry?